hurricane - hurricanes are actually kind of interesting when you’re safe (and we’re safe in this home). The worst part of a hurricane is actually the lack of electricity for days, even weeks. The combination of no air conditioning and no electrical pump to move water from the cisterns gets rather, um, uncomfortable. 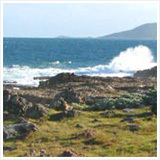 Barths Bay Villa Has Sold A charming couple now owns this villa, but if you enjoy interesting stories and/or viewing open houses, keep reading for more on this property. In 2008, our family pulled up stakes and left Montreal, the only place any member of our family had ever called "home." 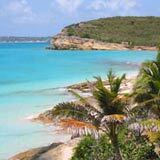 We bid adieu to snow and taxes and settled into a perpetually warm weather and a tax-free lifestyle where there are far less rules and regulations. Freedom! Since 2008, we haven't looked back. Our lives in Montreal are memories... pleasant but in the past. 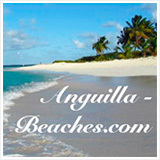 Anguilla is home. We love it here. My Dad wanted to build our home to be sure of the quality. 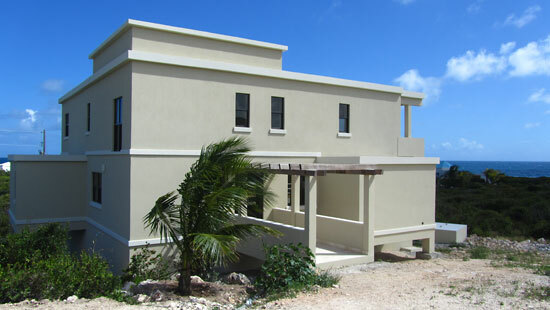 Back then (2006-2007), Anguilla was in the middle of a building boom. All the top builders were "too busy." Mike had done superb work for us in Montreal, so my parents both agreed... "Let's ask Mike if he'd be interested!" 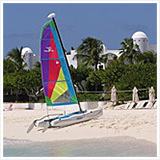 As it turns out, building in the Caribbean had been his long-time dream! My Dad didn't want to be involved beyond drawing up the architectural design. He just wanted to "turn the key." That's where the name TurnKey Construction originated. TurnKey's focus is building environmentally friendly houses in Anguilla, Mike's area of expertise. 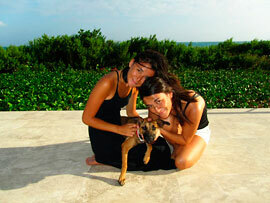 My parents are not easy to please, but they raved about the work done on our own home throughout the entire process. 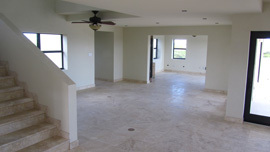 Mike completed a second home with stunning results. 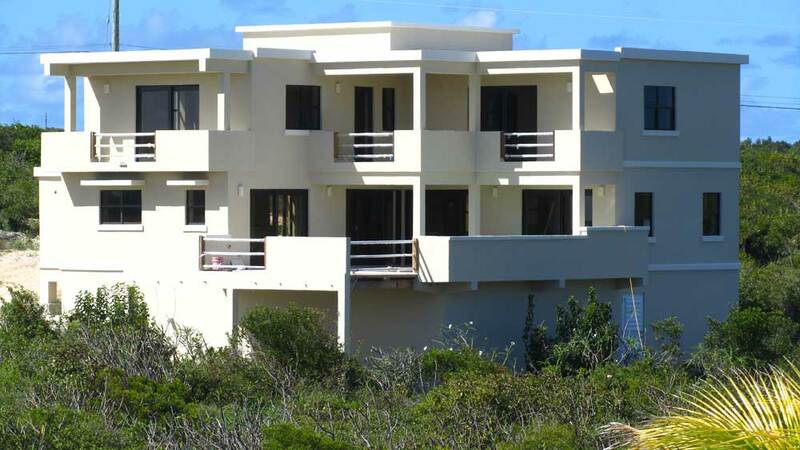 However, once the Recession was well underway, few people were building on the island. We hated to see Mike and crew out of work. They're not only nice, honest and hard-working people, they have all become friends of the family. Views Captions of these photos start with "View #" (ex., "View #2"), followed by brief descriptions of the scenery visible from certain locations in the villa. Exterior Photos Captions of these photos start with "Exterior Pic #" (ex., "Exterior Pic #4"), followed by brief descriptions of exterior photos of the home. Interior Photos Captions of these photos start with "Interior Pic #" (ex., "Interior Pic #5"), followed by brief descriptions of photos of the villa's interior. 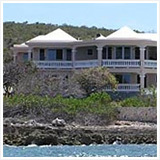 The villa that Mike and his team have built is in an up-and-coming area of Anguilla that is slightly to the East of The Valley. 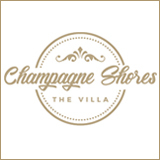 Several $2,000,000-$5,000,000 villas have been built here. And when the nearby Nicklaus golf course is completed (including many multi-million dollar villas), residential values will increase. Its location is conveniently close to The Valley (excellent for everyday errands like groceries, mail, video rentals, etc.). 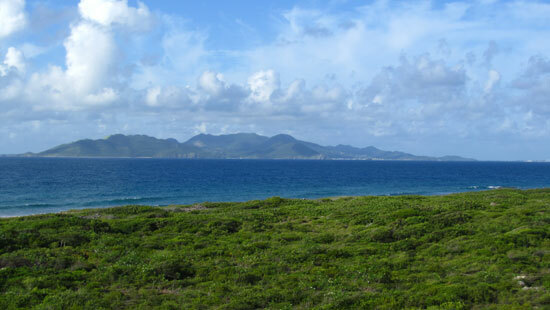 And it's a short drive to Shoal Bay, Crocus Bay and 10-15 minutes to Western beaches. Since the 3 peaks of St. Barths are so majestic, we call the villa Barths Bay Villa (but you can call it whatever you like, of course). Some nights you can even see the lights of St. Barths! 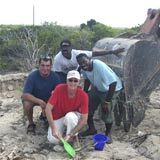 Mike and his team build tremendous equity into their construction. The result is a rock-solid, green villa that is built to "multi-million-dollar" quality, selling for a price that is meant to recoup expenses, sold directly by my Dad (via the form below). 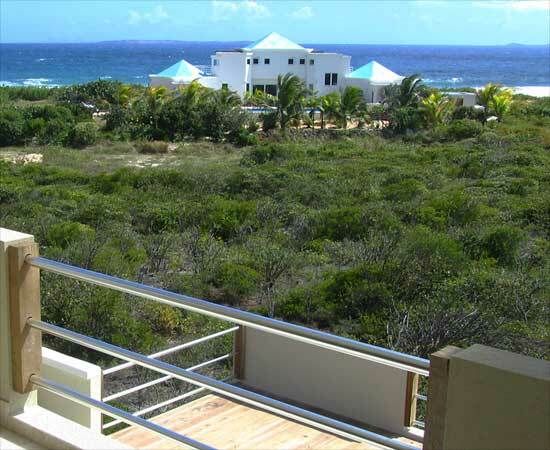 Barths Bay Villa sits on a quarter acre of Anguilla real estate, near the sea's edge. 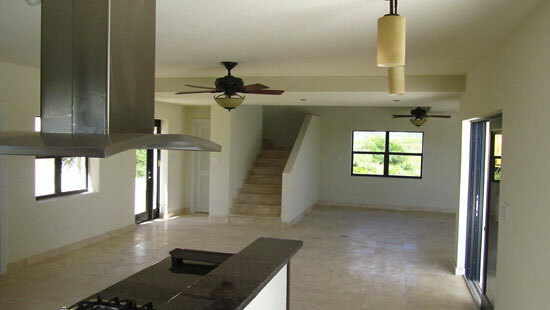 The villa features 2,600 square feet of interior living space. 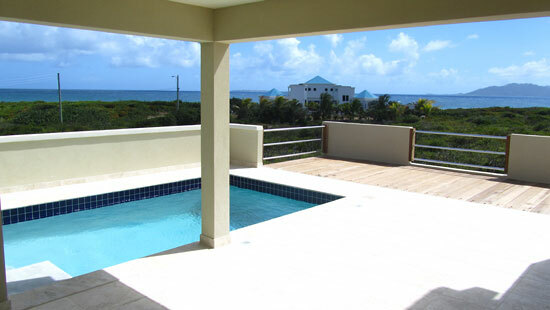 There are two floors, 3 bedrooms and an outdoor living space, complete with a pool. The downstairs bedroom is pre-wired to be a home theatre should you only need 2 bedrooms. The quality built into this home is unmatched by any home in this price range. 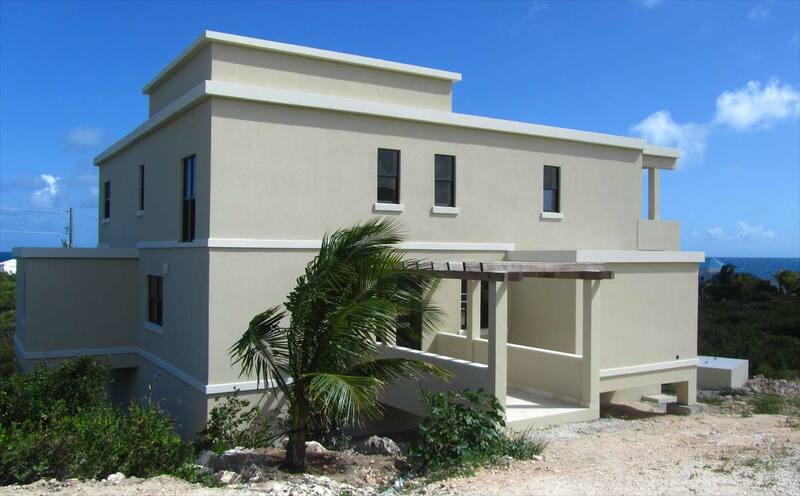 From the foundation work and ICF walls (more on ICF construction below), to the PGT Winguard windows and doors (Miami-Dade hurricane-certified), to the perfectly cast concrete roof structure, this is a rock-solid home. 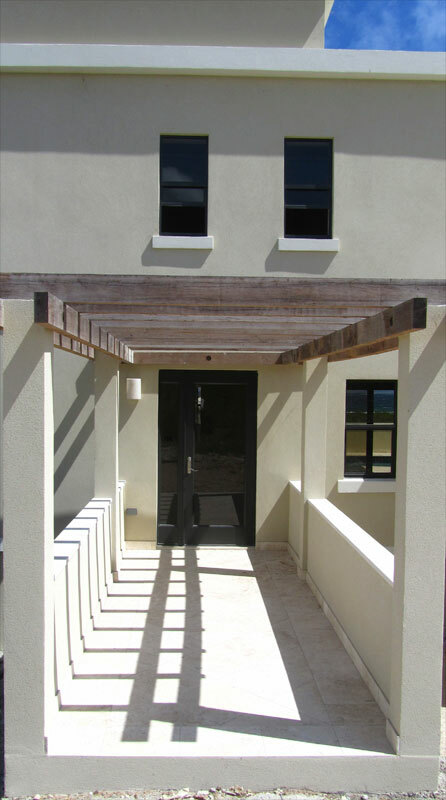 The photo (left column below) shows the entrance, with pergola made of greenheart (dense, rich tropical wood that withstands the environment). 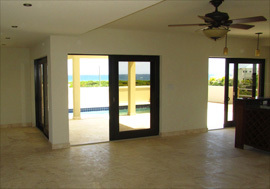 The right-column photos show the views into the home, standing just inside the the entrance, looking to the left and then to the right. 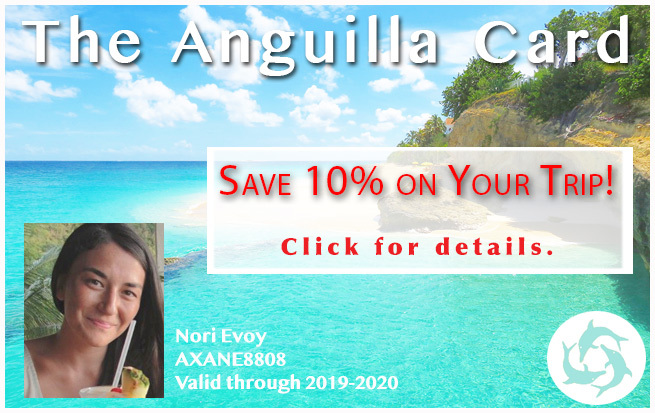 Click on any image to see a larger version of it in a special "slide show" window. If you like, continue to take 1 of 3 possible photo tours, as explained above. In the two photos immediately above, you are standing at the entrance way. 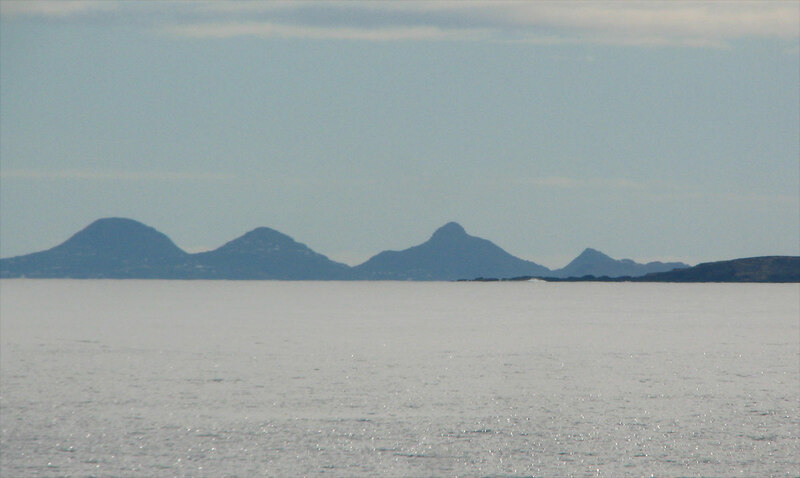 In the top photo, you are looking towards the left. Returning to the top photo, you can see past a living area and into what can be either a third master bedroom or a home theatre/den (the "flexible room"). Floor Plans Right-click to download this pdf file ("floorplans.pdf") to your desktop. It shows 2-dimensional and 3-dimensional layouts of each floor. Note 1: It is important to right-click to download (control-click for Mac owners). 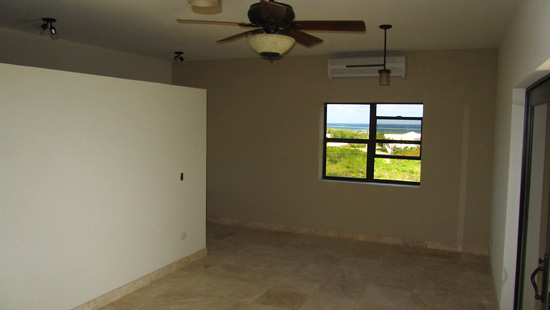 Note 2: The 2-dimensional floor plans contain links that take you to views from various locations in the villa. You must be online for those links (blue circles) to work. Renderings Right-click to download this pdf file ("renderings.pdf") to your desktop. It displays perspectives, features or furnishings of the kitchen, laundry room, living area and "flexibility room" that could not be captured through photography. 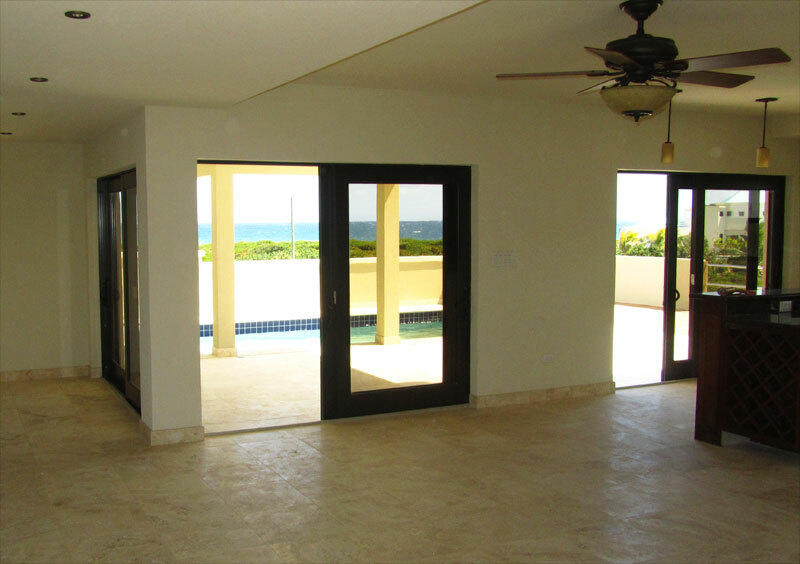 The first floor features a large kitchen and dining space, which open onto the pool area via two wide sliding doors behind the counter which is meant to accommodate bar stools. All kitchen and bathroom fixtures and sinks are Kohler. 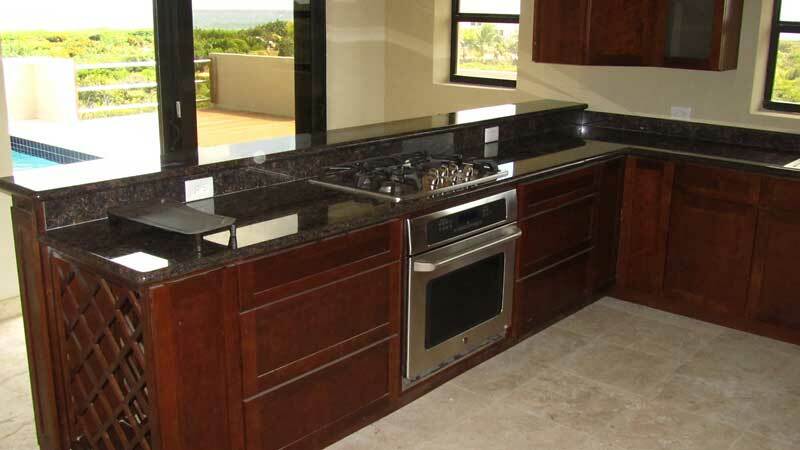 Countertops are granite throughout the villa. 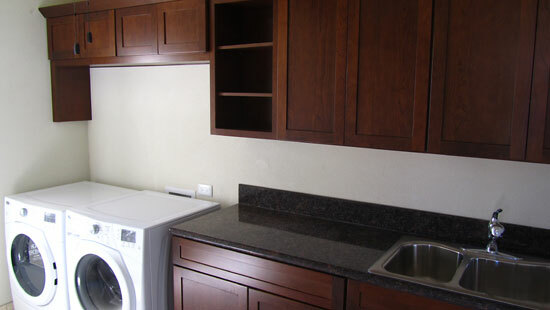 Cabinetry is finely finished by KraftMaid. Remember, you can click any photo to open a larger version of it in a special "slide show" window..
On the left side of the photo above, you see room for 4-6 bar stools. The appliances (stove, oven, refrigerator and dishwasher) are all GE Café series. 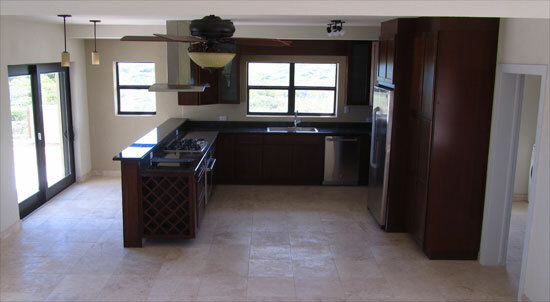 Interior Pic #4: Another photo of kitchen, with view out to pool. 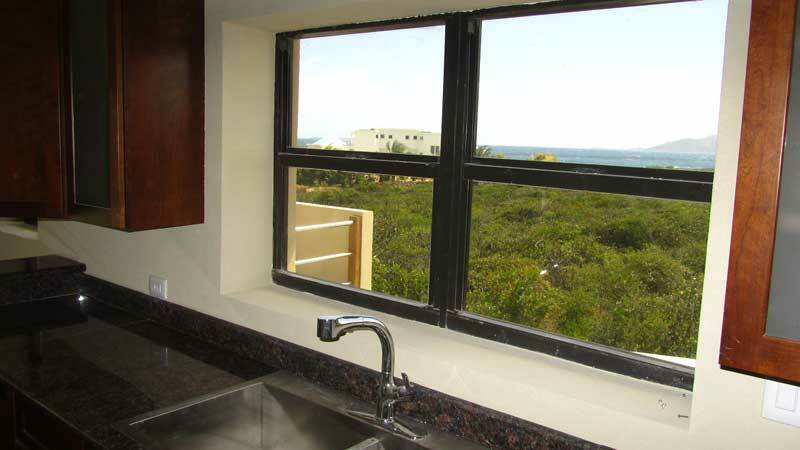 Interior Pic #5: Another photo of kitchen, with view from the sink window. A pdf file of this and 11 other renderings is available for download above. This photo was taken from the very end of the kitchen, where the final barstool would be placed. To better understand the layout of the dining and living areas, download the floor plans (see above). 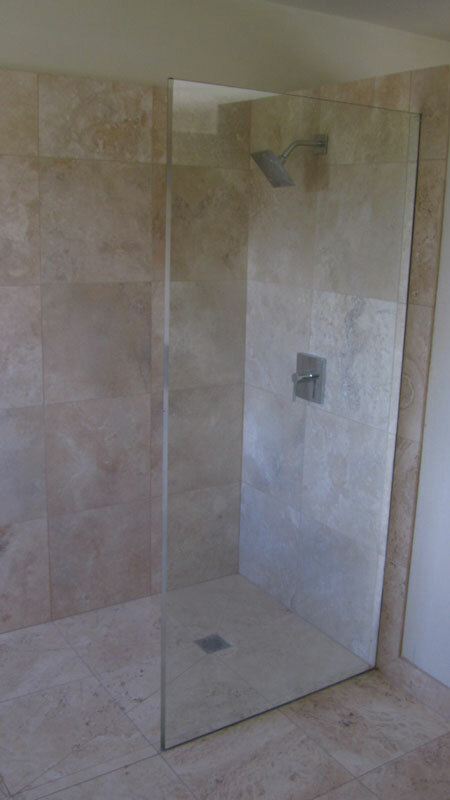 Both floors are covered with elegant, polished travertine, a surface with high natural salt resistance. 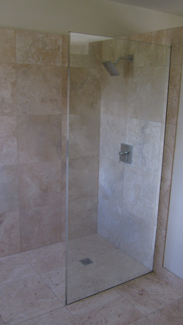 Its durability is measured in centuries (many of the ancient ruins were constructed using travertine). Its natural, timeless look results in exceptional beauty. The final room on the ground floor (around the corner of the above photo and to the right) can be the 3rd bedroom. 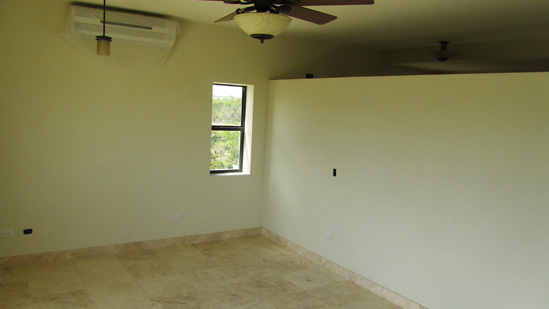 If you don't need a 3rd bedroom, this room is pre-wired to become an outstanding home theatre. 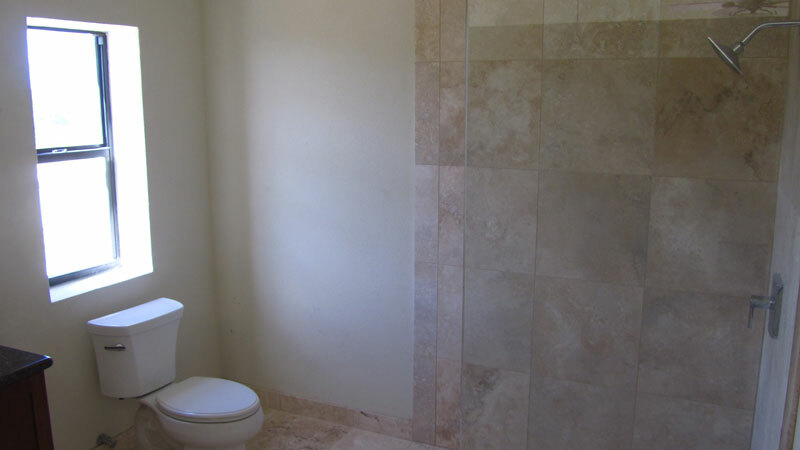 Since the downstairs bathroom is comparable to the upstairs one, we'll show it from three views to "assemble" it in detail. 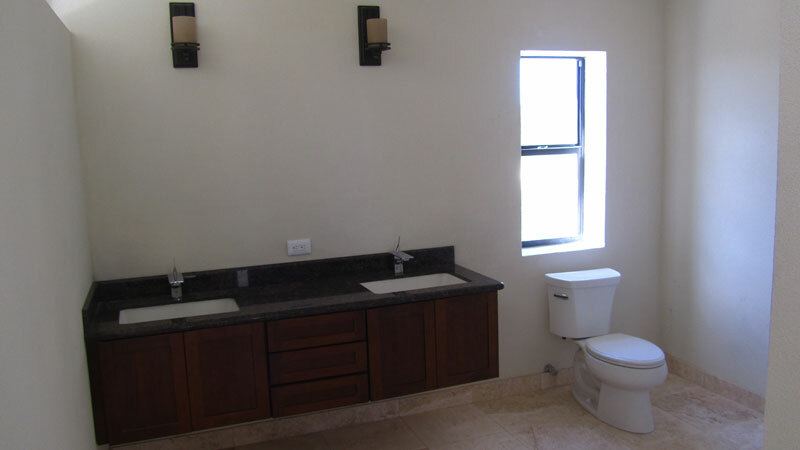 We'll omit detailed views of the two upstairs bathrooms. You can see their layouts, though, from the downloadable floor plans (above). shower to the far right. 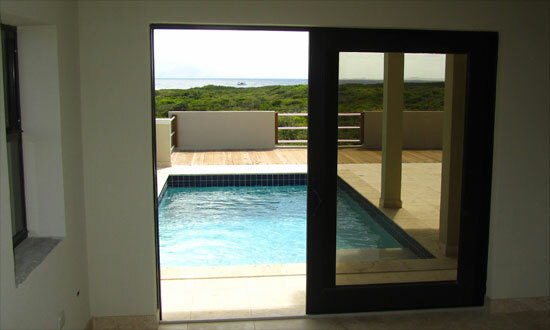 Since this room is similar to the two 2nd floor master bedrooms, the following two photos show the view out to the pool, and then to the room from the pool. 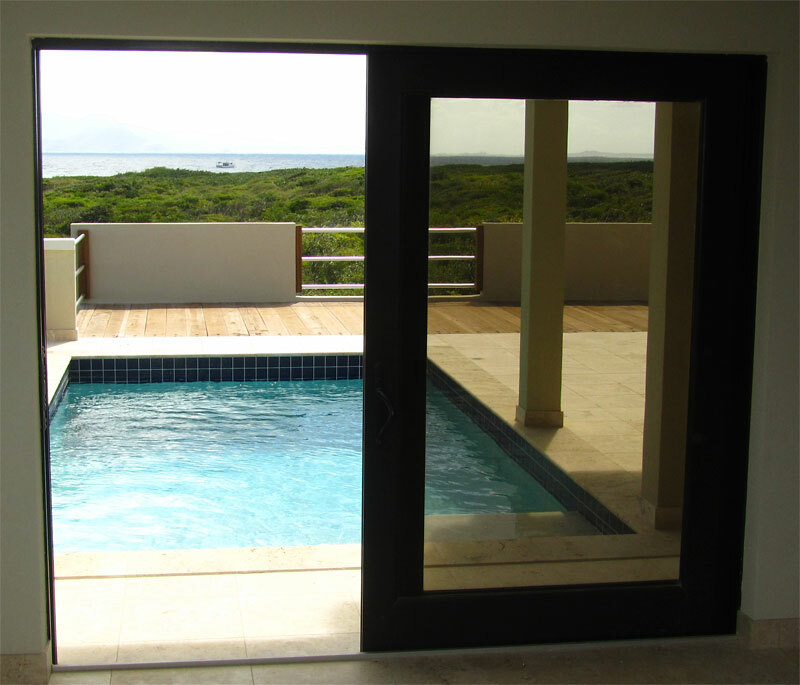 While the second floor terraces have expansive views, it's hard to beat immediate access to the pool (click photo for a larger and different perspective of the pool). The wooden sundeck is made out of the same wood as the pergola over the villa's entry, greenheart. A dense tropical wood, it will be in the same condition in 20 years as it is today, with no maintenance needed. 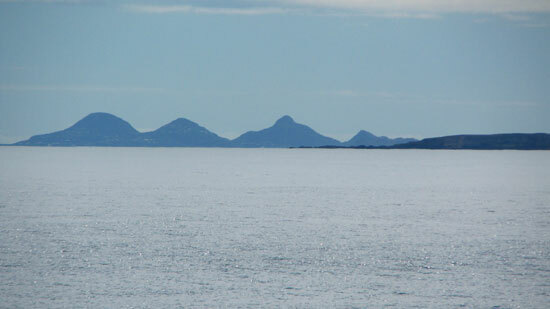 Beyond the deck, you can see our home. Welcome, neighbor! Once upstairs, you find 2 spacious bedrooms. The king beds shown in the 3-D floor plans in the downloadable PDF (above) give you a feel for the size). 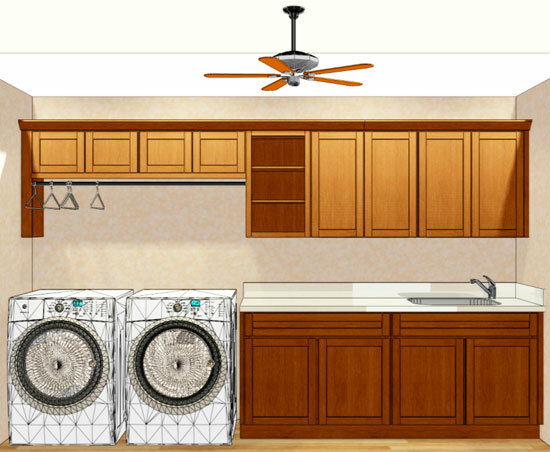 Each features an en-suite bathroom, lots of storage room in the cabinetry, and air conditioning. You probably won't need to use the A/C, though, due to this villa's green construction. The near-constant tradewinds are a delight, especially at this additional height. Proceed around the partial wall on the left (2nd photo above) to reach a bank of closets (photo right). A smaller cabinet is out of sight. 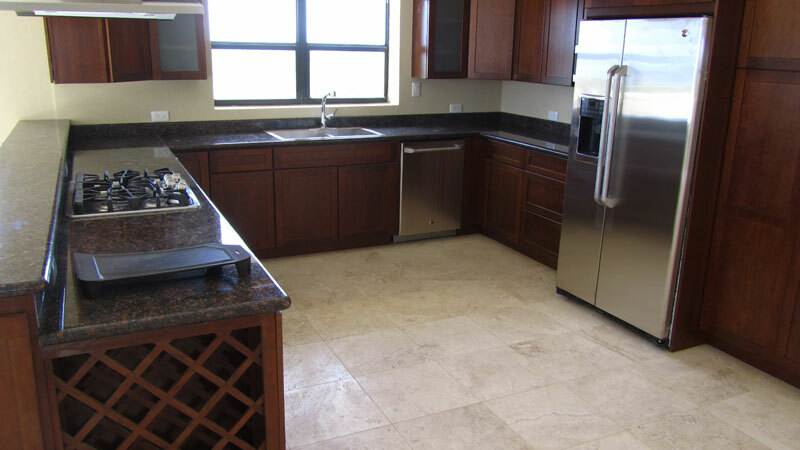 All cabinetry is finely-finished KraftMaid, woodworking of high caliber. Note that air can circulate above the wall separating the bedroom from the closets. Maximal air movement is critical in the tropics. Beware! Before you make it to the closet area, you'll be lured by the sounds, scent and panoramic views of the sea. Head out onto the terrace for the irresistible view (photo far right). The configuration is slightly different, with the bathroom (instead of closets) behind the partial wall. And there are two banks of closets instead of one long one. Aside from the layout, the facilities and storage cabinetry are identical, so we'll skip over them. ... and to the far west. 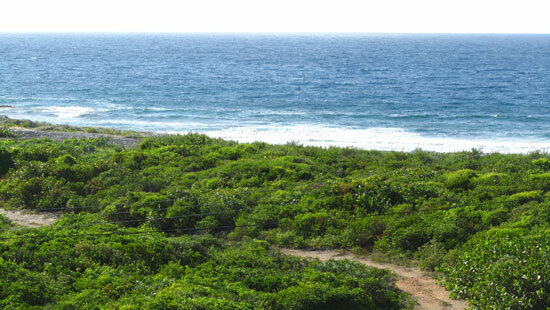 This view, down the shoreline, is only visible from this terrace because the western bedroom reaches closer to the sea than the eastern one. 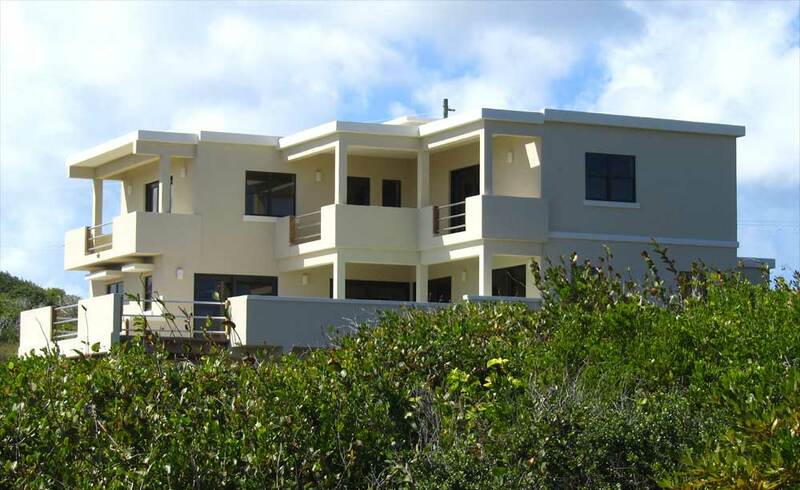 Barths Bay Villa is built with ICF walls (information about ICF opens in new window, photo below is non-clickable). 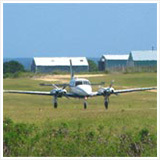 Mike's team is the only ICF-certified team on the island and is extremely proficient with it. super-solid. Each floor's walls are formed from a single concrete pour, instead of cinder blocks and mortar. hurricane-and-impact resistant. 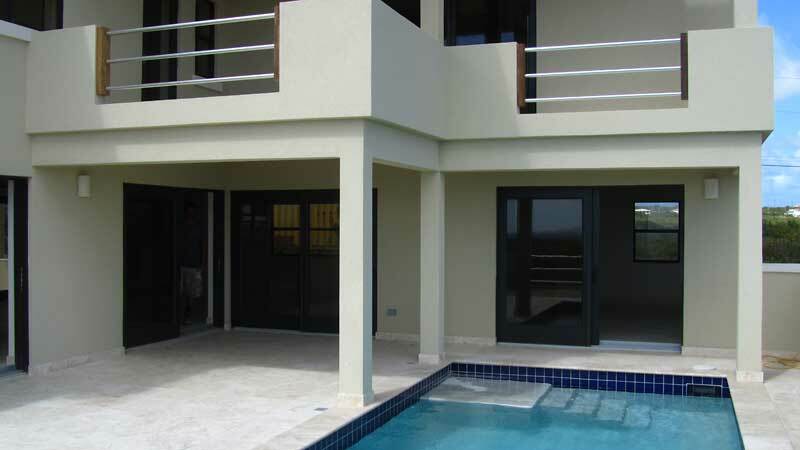 Featuring ICF walls and PGT Winguard windows and doors (Miami-Dade hurricane-certified) that you don't find in homes in this price range, this is villa that has been built to withstand hurricanes. The styrofoam layers on both the inside and outside of the concrete walls keep the huge concrete mass from heating up and from radiating heat into the villa. Little or no air-conditioning is required (but is included). 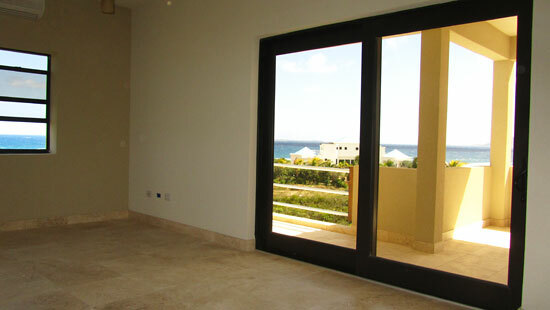 Sunlight-filtering glass on windows and sliding doors augments the "keep it cool naturally" approach. 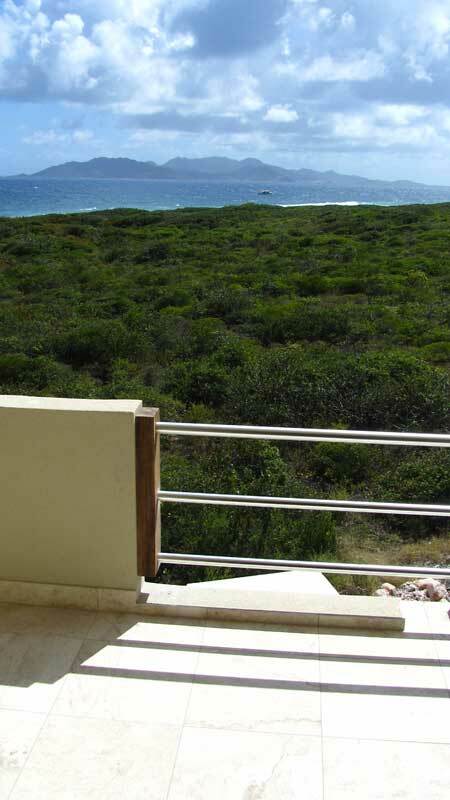 The villa is designed to take maximum advantage of the constant tradewinds that breeze over this part of the island. No "heat sinks" here, you really won't use the A/C much. 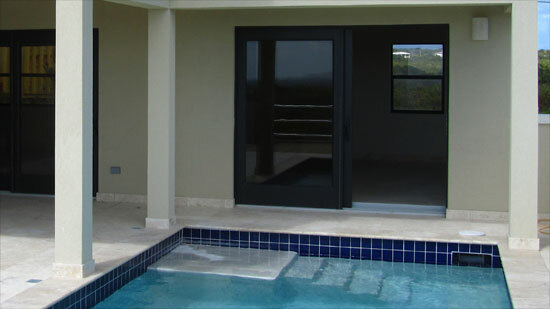 There is adequate space to install a solar hot water heater. The plumbing has been set up to accommodate this change if you choose to go one step greener. low-maintenance. The "skinning" on the inside and outside bonds to the styrofoam with high salt-resistant durability. 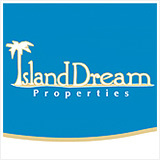 This home is the most solidly built and best finished home in its price range. Every square foot of its 2600 internal square feet has been used optimally. Ext Pic #7 A Double Rainbow! 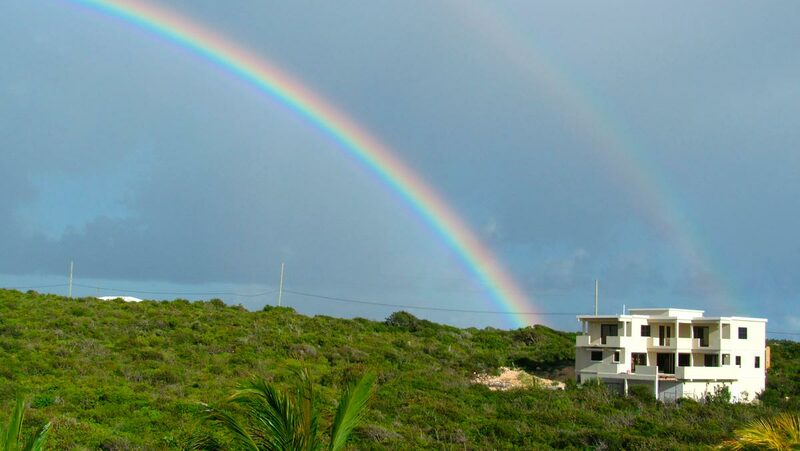 Rainbows are common in Anguilla (hence the nickname "Rainbow City"). Double rainbows, though are pretty rare! My Dad rushed to get that shot, as the rain clouds were passing quickly. Naturally, all rainbows are included in the price! Zen-like in its clean lines, its internal finishings (lighting and cabinetry) and external "moat" of fine gravel continue the theme of peaceful simplicity. This Anguilla home is low-maintenance in every way, including gardening which is optional since indigenous shrubs such as frangipani and their lovely white blooms were left undisturbed. Flexible in configuration, it can easily accommodate 3 adult couples, a retired couple with an upstairs den and a downstairs home theatre, or a family moving to Anguilla. 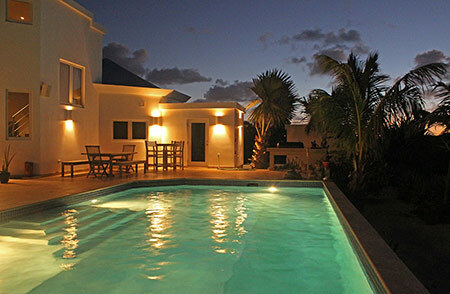 In short, Barths Bay Villa is the perfect Anguilla accommodation, whether you plan on living here year-round or merely for a few weeks while renting it out to pay for itself. The goal of this construction was to build a quality home while keeping Anguillians employed. Profit is of secondary consideration, since proceeds will be used to start another, should we need to keep everyone working. 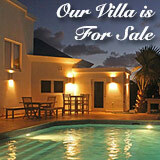 There is no better-value villa for sale in Anguilla. Please use the form below to contact my Dad directly. He will usually reply within hours.